18 December 2013, Hong Kong – Regulatory changes suggested by the Hong Kong Financial Services Development Council (FSDC) in its November report could boost Hong Kong’s standing as a regional center for REIT listings, if implemented. Rules surrounding REITs would be altered to provide H-REITs with greater flexibility to undertake development projects as well as get preferential tax treatment, stimulating the allocation of more capital from local pension funds to the H-REIT market. Such changes would be highly welcome, but it is CBRE’s view that whether or not these changes are successful will be dependent on the acceptance of property companies, who are the major landlords of good quality commercial properties in the city. The proposals would give all landlords greater incentives to inject assets into their sponsored H-REITs via the removal of corporate profit tax under the new rules. Whilst these proposed tax incentives might be attractive to sponsors, it remains uncertain whether they would encourage property companies to inject good quality assets into H-REITs. Whilst there are undoubtedly good quality assets available at present, it will take a critical mass of enough quality assets attract a significant investor base and really boost the Hong Kong market. Likewise, property companies might see the pricing of H-REITs as a hurdle. With most H-REITs trading below Net Asset Value (NAV), it may be difficult for them to justify spinning off their assets into H-REITs. 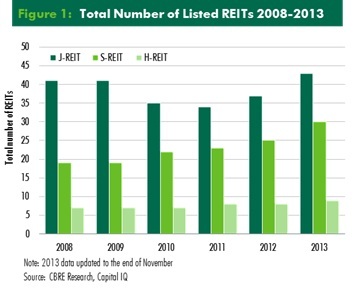 But there is still a strong business case for property companies to invest in developing their REITs businesses. As we have seen in Singapore and Japan, major property companies succeeded in broadening their businesses by adding a real estate investment management platform. “Many companies in markets such as Singapore and Japan now possess a solid track record in structuring and managing real estate private equity funds and REITs. This in turn has also opened more channels for these companies to raise funds, for example in the private equity sector from global institutional investors. 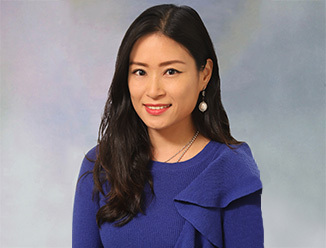 They also have greater flexibility in how they hold a property, either by a direct holding on their balance sheet, by a real estate private equity fund or by a REIT,” said Ada Choi, Director, Asia Pacific, CBRE Research. “REITs are a good channel for investors to gain exposure to the commercial real estate market, and can be a useful funding source for property companies. 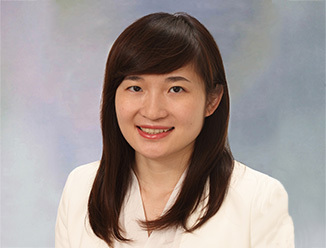 We advise property companies in Hong Kong to consider the benefits of setting up a real estate investment management platform,” said Ms Choi. The relatively immature state of the H-REIT market is partially due to the dominance of the major Hong Kong property conglomerates and Chinese property developers. As of end-November 2013, H-REITs accounted for just 5% of the total listed real estate market capitalization in Hong Kong, compared to over 30% in both Singapore and Japan. H-REITs’ lack of acquisitions, particularly of assets in mainland China and other overseas markets, has also played a significant role in limiting their growth. In addition, the restrictive regulatory regime currently in place has made H-REITs a static income play, passively passing rental income to unit holders—though the proposed changes do seek to address these issues. By way of comparison, whilst the H-REIT market has developed slowly, Singapore has firmly established itself as a regional hub for cross-border REIT listings. S-REITs have been very active in acquiring offshore assets to expand their portfolios, a trend which has solidified Singapore as a focal point for REITs in Asia. As of end-November 2013, 16 of the 30 listed S-REITs owned overseas assets, whilst only three H-REITs had assets outside Hong Kong. Between 2011 and Q3 2013, cross-border acquisitions by S-REITs totaled US$2.7 billion compared to H-REITs’ total of just US$155 million.